Situated high up in the mountains, Silverthorne, Colorado is a more affordable family destination than the resorts below the mountain. Silverthorne vacation rentals are convenient in that they are just a short hop to the major ski areas and other attractions, and are accessible via an interstate highway ride out of Denver. The family can also enjoy some quiet time at Silverthorne rentals as the serenity of the mountains is far removed from the crowds of the city. The skiing and snowboard at Silverthorne are known around the world. You can conveniently experience these while staying at Silverthorne vacation rentals in the winter. In the summer, a whole range of mountain biking, rock climbing, and water activities await the family. Take your pick of a hiking trail, including the 435 miles of paths of the Colorado Trail, where you can make a fast mountain bike ride go on forever. Silverthorne's Blue River Trail offers another fantastic tour through the wilderness. Climb a mountain if you like heights over 14,000 feet or hit the river on a whitewater rafting tour. There is so much to do around Silverthorne rentals that a cohesive plan will be needed to experience exactly what you want. Enjoy the extremes of rafting, zip line rides, hot air balloon rides, and indoor skydiving. Family friendly activities such as horseback riding, fishing, and wildlife viewing are just as easy to find. The massive state parks that dot the Colorado landscape can make for full days out for the entire family to enjoy and feel the peace of mind together. Most of all, the comfort of a ski rental Silverthorne is great any time of the year, and the options will accommodate a family no matter what level of luxury they prefer. The amenities included, the choice may be the more affordable one compared to a hotel or motel room in a tourist area. Silverthorne is a place where you can also set out to explore historical sites of the human kind. See ancient Pueblo dwellings or Victorian architecture in nearby towns. Take your pick of scenic and historic roads for a family drive among towering mountain peaks, ruins of American Indian settlements, and high waterfalls. Silverthorne also provides an array of dining, shopping, and recreational opportunities. You can spend quality time with the family at everyone's convenience during a stay at Silverthorne vacation rentals, so the times spent outdoors and in are all fantastic. Plan a mountain retreat in Colorado by contacting an owner of Silverthorne rentals today. The perfect outdoors vacation can be had with options that might prove affordable for your vacation budget while offering outstanding amenities. The comfort, convenience, and quality time will make it the refreshing getaway everyone needed and will remember fondly for years to come. 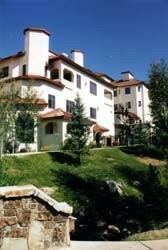 Check out nearby Breckenridge , Copper Mountain , Dillon , Georgetown , Keystone , Vail , Winter Park .